We are delighted to announce that the residential Development Brief prepared by The Urbanists on behalf of Collins Design & Build has been approved by the Brecon Beacons National Park Authority. The Development Brief promotes a new residential and commercial development on the outskirts of Talgarth as Supplementary Planning Guidance. On the 9th April Brecon Beacons National Park Authority Supplementary Planning Guidance Committee convened to consider the motion to endorse and adopt the Development Brief as Supplementary Planning Guidance and found in favour. The brief sets out proposals to deliver a 127 unit scheme redeveloping the former Mid Wales Hospital with a sustainable new community that will re-establish strong links to Talgarth and achieve a high quality, locally distinctive development that respects the character and history of the site. The proposals include the redevelopment of the former Mid Wales Hospital and Chapel. Due to the current state of dilapidation of existing structures on site this involves the demolition of a number of the existing buildings on site with the exception of the main administration building and the former Chapel which sits opposite. The retainment and refurbishment of these buildings for alternative uses will form the heart of the development contributing to the heritage of the area and creating strong character. The proposed scheme will bring much needed activity, accommodation and vibrancy to the area and provides a viable approach to a challenging brownfield site within the Talgarth Conservation Area. We are very pleased to announce that The Urbanists have reached an important milestone in its 14-year evolution as a business, following the retirement of one of the founding members of the company, Martin Sullivan, from its Board. 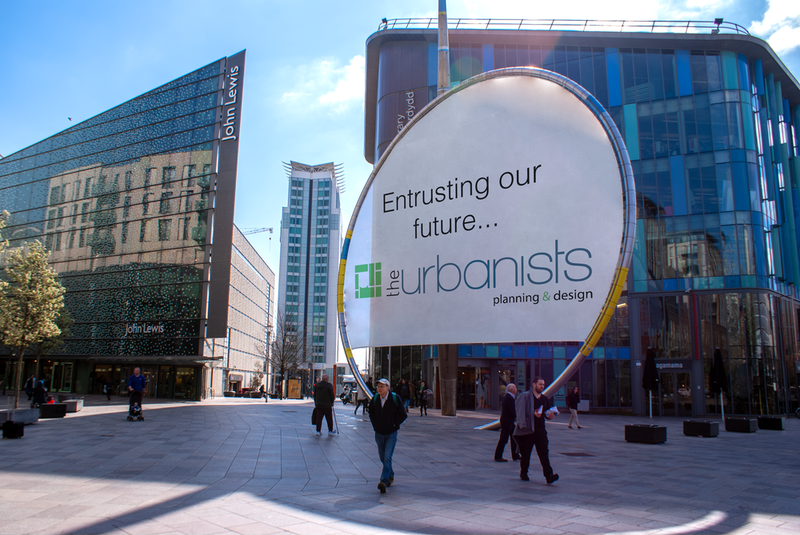 The Urbanists new Board of Directors comprises of James Brown acting as Managing Director, Michelle Tuck, Director and Mark Farrar, Director, all of whom have been fundamental to the success of the business, alongside Martin and the wider team, over the last few years. Martin will remain as a consultant to the business for selected projects. The new Board of Directors have completed a Management Buyout of the business, of which has seen a creation of a Trust to enable the ownership to be shared with its employees. The team ethos and the combination of skills in planning, landscape architecture and urban design are central to the culture at The Urbanists. Through this new vehicle it ensures it continues to represent the business culture for which it is known for, encourages continued growth, creates incentives for its employees which ensures its driving success which is best for the clients, employees and the business. New Managing Director James Brown said: “We are extremely confident that the future of The Urbanists remains in the hands of the people who understand it best and who will strive to continue to deliver the very highest standards of service for our clients. We have achieved much under Martin’s leadership and would all like to thank him for his significant contribution in The Urbanists story so far. We now look forward to continuing to work closely with our clients across private and public sectors to achieve the creation of better quality places”. The Urbanists have been appointed by Wrexham County Borough Council and Welsh Government to carry out a feasibility study into the future placemaking and development opportunities along the Mold Road Corridor. Wrexham is a key regional driver for North East Wales and Mold Road is an important arterial route into the town. The significance of the route is derived from the presence of Wrexham’s Glyndwr University, The Racecourse stadium and Wrexham General railway station. The challenge will be to devise and coordinate interventions that will make a considerable beneficial impact upon Wrexham and the wider region. The vision will be supported by a masterplan which will be underpinned by deliverable interventions set into a short, medium and long term delivery plan. The Urbanists are leading the project and are being supported by Colliers on property inputs and Mott Macdonald on transportation advice. The Urbanists are pleased to announce that BikePark Wales have been granted planning permission to build new visitor facilities at their premises in Merthyr. 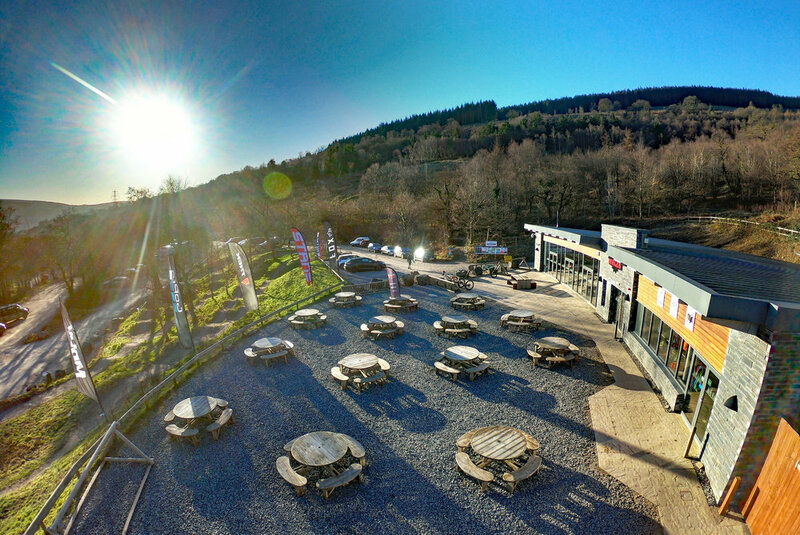 We managed the planning application for BikePark Wales, which will result in the delivery of a new Bike Hire Centre with associated bike washing facilities, a new catering unit along with a staff office building. BikePark Wales has been operational since 2012, and the development proposed is the first part of the significant investment taking place in order to improve customer experience and to meet growing demand as result of increased visitor numbers. We look forward to working closely with BikePark Wales in the preparation of future development proposals. The design team consisted of: LeTrucco Design (Architecture); Peter Quinn Associates (Landscape Architecture); Bingham Hall Partnership (Engineering Services); Holloway Partnership (Mechanical and Electrical) and TC Consult (Project Management and Cost). The Movember challenge is now officially over! Through the growth of some bizarre facial hair and a coffee morning we managed to raise a total of £690 for a most worth cause! Many thanks to all those who donated. The tash pics will now cease! The Urbanists have submitted reserved matters designs for the first 471 new homes on the former Whiteheads steelworks site in Newport. The submission was made on the behalf of the Whiteheads Development Company. The scheme will be delivered by Lovell Homes. The submission marks a significant step forward in the delivery of this important development. We will now be focussed on working with the Local Planning Authority to secure permission for the propose design. Separate planning applications will be submitted for the remaining homes, the neighbourhood centre and primary school that were all included in the outline planning permission. The scheme was designed by Powell Dobson Architects, with engineering advice provided by Cambria Consulting. Project management and cost consultancy advise was provided by Blake Morgan. Image prepared by Powell Dobson Architects. We are delighted to be acting as planning consultants to BikePark Wales. Over the past 6-months we have advised the Park on their exciting extension proposals which will include a new visitor centre, onsite glamping accommodation and additional car parking capacity. To date, we have submitted and prepared a planning application for the new visitor centre, and are now working on the planning application for the accommodation and parking. A great client to work for. The Urbanists were proud to support Streetgames on Friday 27th July in Cardiff's iconic Principality Stadium. Several members of The Urbanists team volunteered to help run events and offer support to the Streetgames team. Throughout the day, over 3,000 youngsters from the most deprived parts of Wales got to take part in over 60 different activities ranging from football, cage rugby, urban boxing, golf chip and put, free-running and gymnastics, skate boarding, and break dancing. In addition, many young people got the chance to be involved in event management and volunteering and played a key role in helping plan and deliver the festival on behalf of StreetGames. An excellent day was had by all who attended and The Urbanists look forward to supporting the event in the future. The Urbanists are very pleased to announce that we have secured full planning permission for new facilities in the grounds of the Daerwynno outdoor activity centre, located in Llanwynno forest. The planning permission includes the upgrade of the existing toilet block and the addition of three new shipping containers that will provide shower/toilet facilities, a classroom learning space and cafe area. The permission was obtained on the behalf of the Ynysybwl Regeneration Partnership. In addition to securing planning permission, we were also responsible for preparing the scheme design, which includes the use of sustainable materials and finishes to ensure the development is appropriate to the landscape of the Llanwonno forest. Daerwynno Outdoor Activity Group has been operational since 1996, and the development proposed will enhance the outdoor offer provided. If you would like further information on this project please contact Martin Sullivan (martin.sullivan@theurbanists.net) or Liam Hopkins (liam.hopkins@theurbanists.net). We’re very pleased to have been selected to be part of a team of consultants to help the City & County of Swansea Council to deliver a new employment scheme in the heart of Swansea. The team (lead by WSP and also supported by Architecture 00, as well as Cushman & Wakefield and Gleeds) will be preparing plans for up to 100,000sq.ft of development that will continue the progression of Swansea’s digital economy and city centre lifestyle as part of the wider transformation of the City Centre. Realising the vision for the site, which was formerly the Oceana nightclub, is only possible because of the transformation of The Kingsway. The £12m redesign of The Kingsway from a functional highway into a new green artery for the city will include new public areas, new green spaces and a revised two-way single lane vehicle route that will create a much more enjoyable and comfortable environment for visitors to the City. The Urbanists contributed to the redesign of The Kingsway by combining our urban design and landscape architectural expertise and knowledge of street design to the considerable knowledge and commitment that exists within the City Council’s highways, transport planning and landscape teams. Part of our latest role with Swansea will be reviewing the wider regeneration context of The Kingsway and Orchard Street and updating the plans prepared by the Council in 2016 to create a clear intention for how this part of the City Centre will evolve over the coming years. Swansea Council leader Rob Stewart said: "This high-calibre new partner will be key to developing the Digital Village, working with council officers and other professionals. These plans will transform the city centre into a vibrant and bustling centre for business and leisure that increases the number of people working and living in Swansea and bring high-quality jobs to the area”. The Urbanists are proud to have supported and sponsored the Captains Charity Day at Raglan Golf club on Saturday June 16th in support of the Wales Ambulance. Raglan Parc golf club focusing on fundraising for them. It was a great success with nearly £3000 being raised on the day, with a further £1000 already in the ‘pot’ from other events run earlier in the year. 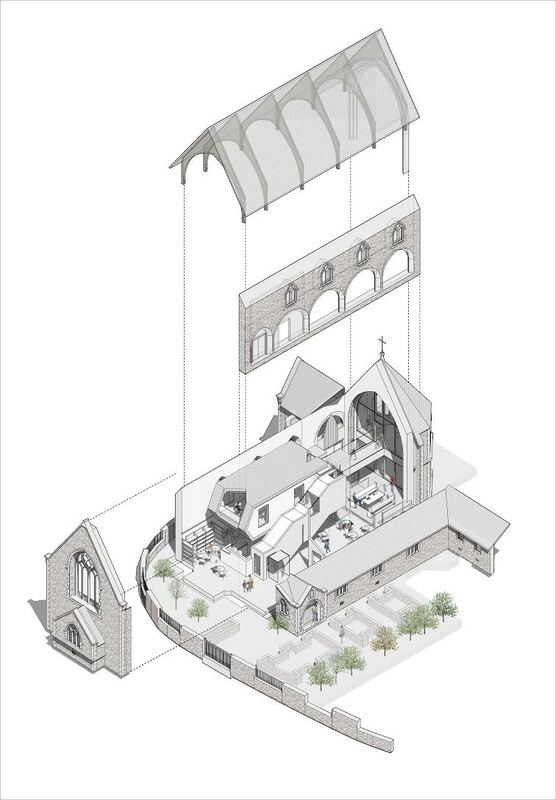 The Urbanists were appointed by Gleeds to undertake the heritage impact assessment to accompany the listed building application for the conversion of the vacant CRI Chapel. It is proposed to repair, restore and transform the building into a library, information centre, and cafe. The proposed use of the building will ensure the replacement of a local community library facility. It will enable public access to the otherwise closed building, and enable full appreciation and comprehension of the broad values of the historic asset. The project will elevate the building’s prominence as a key part of the wider listing status of the Cardiff Royal Infirmary. The significance of the historic asset will be increased through the scheme of works, by preservation and enhancement, and importantly through beneficial re-use as a vibrant community asset, ensuring its long-term protection and maintenance. The Urbanists have considerable experience in securing significant permissions for works to listed buildings. Please contact Mark Farrar to discuss how the Urbanists can assist you with heritage projects and heritage impact assessment. If you are interested in developing your career in a lively, varied and thriving practice with like-minded people then we have a number of vacancies that we would like to fill. Please click here to review latest vacancies. We were pleased and flattered to be name-checked in the recent Walesonline piece about the coolest and most unusual offices in Wales in this article. We love the location of our studio and it is nice to see that others think so too. 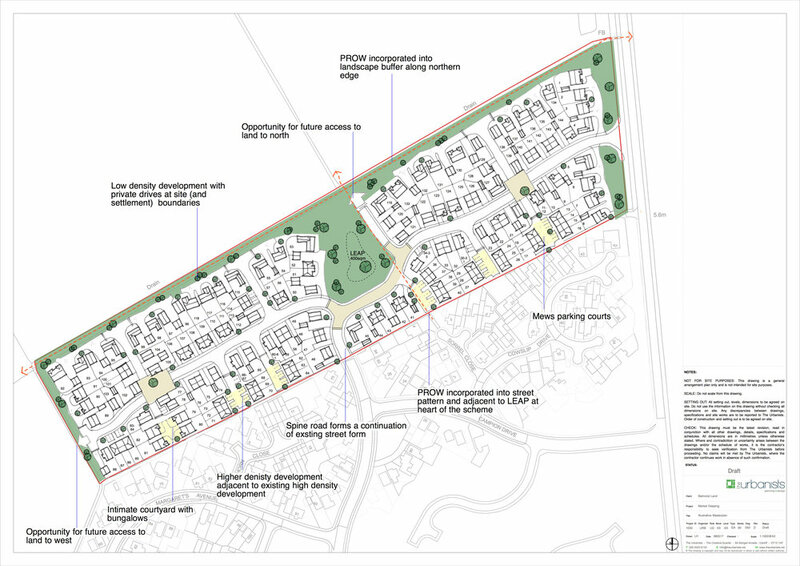 We are pleased to report that our work has helped London & Economic Properties to secure outline planning consent for up to 145 dwellings on land located at the edge of Deeping St.James, Lincolnshire. 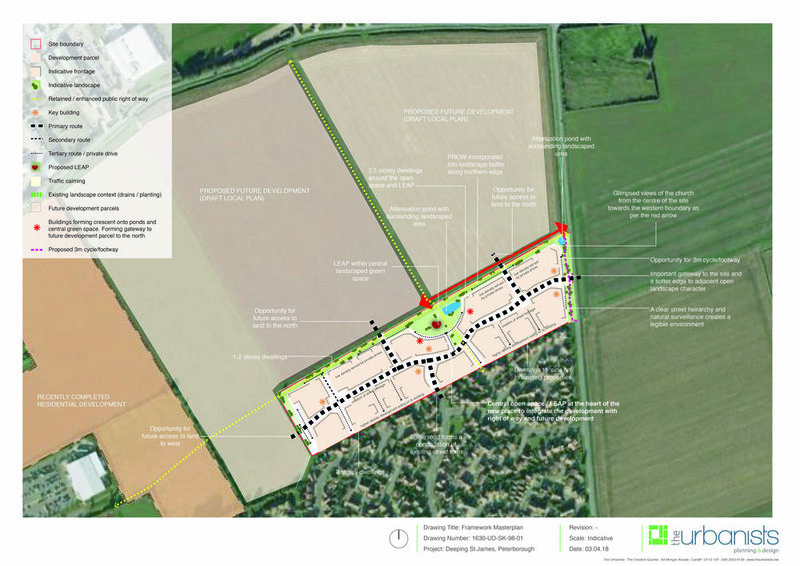 The site is allocated for up to 100 dwellings, but the process of analysis that we undertook highlighted opportunities for a denser development which would still create a quality sense of place, while being appropriate in the wider landscape setting. "The Urbanists produced the Design and Access Statement and LVIA for the outline planning application which was approved by the planning committee in under four months of submission. Their approach to producing the necessary reports, continual dialogue throughout the process and responding to all necessary deadlines was handled with the utmost professionalism. Thank you." The Urbanists are delighted to announce on behalf of our client Taylor Wimpey South Wales that our Development Brief for Wren’s Nest has been approved by Torfaen County Borough Council. This is the largest character area of the 1200 unit masterplan at South Sebastopol. 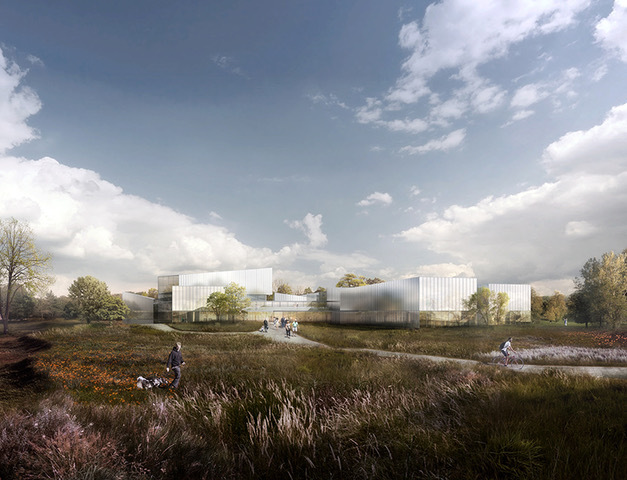 We are delighted to announce that the planning application, on behalf of Velindre NHS Trust for the replacement Velindre Cancer Centre, was unanimously approved by Cardiff Council Planning committee. There has been considerable discussion over the proposals in the local community and in the media. Planning committee rigorously examined the application including the environmental mitigation measures that are set out in the Environmental Statement. The Urbanists are acting as planning consultants on behalf of the Trust and have managed the project through the complex planning process. Steve Ham, Chief Executive of Velindre NHS Trust said: “The approval of our outline planning application is a significant milestone for the population we serve across South East Wales. “Although it has served us and our patients well for more than 60 years; our current Cancer Centre is no longer fit for purpose. More and more people across South East Wales require cancer treatment and our care. Because of that continued increase in demand on our services, we must do things differently. If you would like to know more, please dont hesitate to contact Mark Farrar or Liam Hopkins for any further information. The Law Commission has today released its consultation paper on proposals to overhaul and bring together all planning legislation in Wales into a single Act (‘codification’). It was last consolidated in the TCPA 1990 and has since undergone numerous additions and amendments, becoming increasingly fragmented with the divergence of Wales and England law. The Commission’s proposal is to simplify and modernise planning law in Wales. The consultation paper (of over 500 pages) covers the full extent of planning law including appeals, permitted development, planning applications, listed buildings and conservation areas, trees, advertising, challenges, and development plans. It is expected that this will then form the Planning (Wales) Act 2020. We will provide further commentary in due course, but please call Mark Farrar if you wish to discuss in the meantime.